The Mitsubishi Eclipse, not to be mistaken with the Mitsubishi Eclipse Cross, is a sport compact car introduced to the automotive market in 1989. This coupe also had a convertible version available. After several years of serving the market, in 2011 Mitsubishi announced this vehicle was being discontinued, the 2012 version was the last model produced. However in 2017 Mitsubishi announced that the name Eclipse would be brought back to life with the introduction of the Mitsubishi Eclipse Cross, a new crossover SUV. Read along with us at West Side Mitsubishi to learn more about the Mitsubishi Eclipse. The Mitsubishi Eclipse was named after a celebrated Thoroughbred racehorse that won many races in the 18th century. 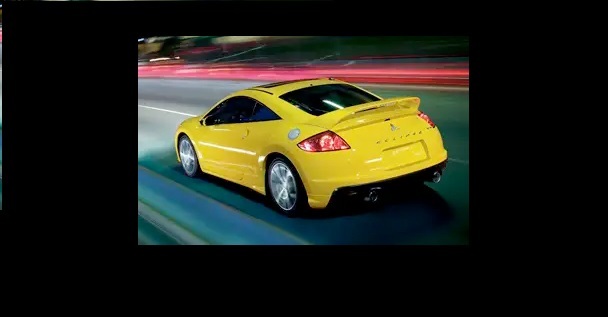 Likewise, the Mitsubishi Eclipse was designed to be a powerful compact vehicle that exudes great strength. The 2000 model went through a complete exterior redesign for a more refined and edgy look. The 2005 Mitsubishi Eclipse came with the option of three different trim levels and standard equipment like power windows and door locks, which were still relatively new technologies at this time. The very last model, the 2012 Eclipse is known for having comfortable seats, and more room for cargo. This car was designed to create a thrilling experience, however, safety was never overlooked. Even the basic trim levels were equipped with four-wheel antilock brakes and a stability control system. And even though this vehicle was discontinued, its legacy continues on with the new Mitsubishi Eclipse Cross. The Mitsubishi Eclipse Cross is a different vehicle from the discontinued Eclipse. However, it still carries over some of the features on the Eclipse including the coupe-like design. 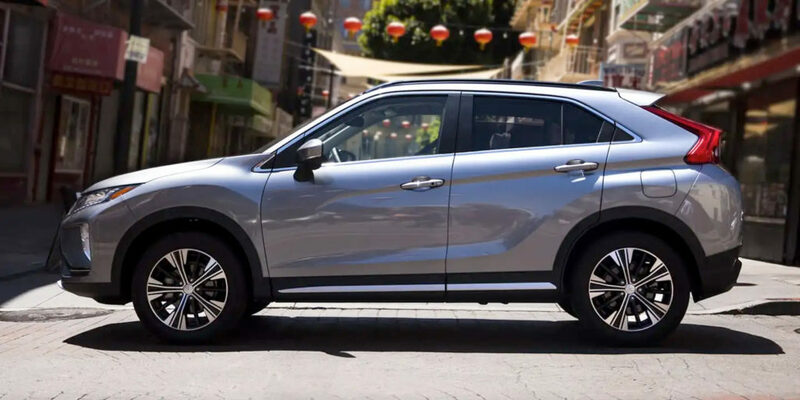 The new Mitsubishi Eclipse Cross is a compact crossover SUV designed for individuals who demand extra comfort and modern style in their everyday life. It leaves a strong impression on all who lay eyes on it thanks to its sculpted exterior design highlighted by the prominent fenders, angular chrome accents, and a distinctive sideline. Inside this SUV, you will find innovative and intuitive technologies like the head-up display and horizontal console, designed to elevate your driving experience. The Mitsubishi offers the best of both worlds, the agility of a coupe and the performance of a Sport Utility Vehicle. Contact us at West Side Mitsubishi if you have any further questions about the Mitsubishi Eclipse or Eclipse Cross, our certified technicians are always ready to give you a hand.